Random Musings by @JulietKego: Of History And the Lessons We Fail to Learn | Juliet 'Kego's World of Floetry; Explore! Experience! Enjoy! Both Igbos and Non-Igbos need to re-educate themselves on our history and then focus on the learnings and the restoration, reconciliation and true rehabilitation (not just infrastructural/physical but more importantly psychological). Until you sit down with survivors of the war and hear that first-hand experiences, you’re most likely to be disconnected from the realities. There’s a serious conversation we need to have as a nation. We’re skirting around it and it’s creating a dangerous vacuum in leadership, not only for the Igbos but for the generality of Nigerians. That is why we can unfortunately raise up someone like Nnamdi Kanu, who spews abhorrent hate-filled speeches. I strongly denounce his messages and I hope others will too. That is why we can have Boko Haramites, who started out killing Christians in churches and the rest of the country especially Northern elite turned a blind eye, until the same terrorists now turned against their fellow Northerners. Let us, the Igbo elite, also be bold in condemning Nnamdi Kanu and his likes. There must be zero tolerance for all forms of hate speeches and intolerance. 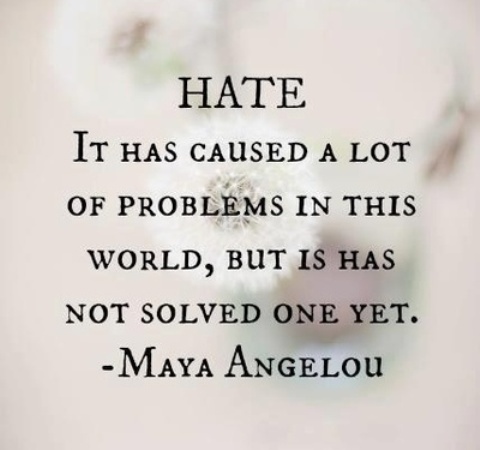 More hate cannot solve any single problem we have. Everyone should be able to proclaim I am Igbo, Yoruba, Hausa, Ijaw…and also say I am Nigerian, and not have such declarations met with distrust or insults. And if people want to secede and be known as Biafrans and they are able to do this via peaceful / legal means, it must also be honoured. The old cliche of ‘Indivisible’ country is running thin. Let’s revisit this imperfect union and actually engage in a real honest conversation. You don’t tell an unhappy couple where both sides are threatening or slowly killing one another that they can never separate… Their actions will show you clearly that there are underlying issues that must be addressed if they’re to stay together or maybe, just maybe the best thing would be for them to separate in peace. Until you have the series of talks and lace it with justice, equity and tolerance, the whole thing is a joke. Even if we’re to stay together as a nation, there are basic structural things that must be changed. We live in a dysfunctional country where the centre controls the security (police), for goodness sake!! Mining licences for mineral resources and the Land Act are controlled at the centre!! I don’t think we realize how flawed the basis of our nationhood really is. Let’s DECENTRALIZE. Let the REGIONAL Federating units be stronger and the centre weaker. The agitations for Odua, Biafra, Arewa, Ijaw nations etc all flow from the clear injustices and mismanagement of the past. We live in a country where as a unity school student I had to score hundreds of points to gain admission, meanwhile a student from the North could get in on scholarship with single digit points!! Let meritocracy rule and let people develop at their own damn pace. It’s healthier for everyone. Period! And FYI, HATE will NEVER solve a problem created by hate. Only LOVE can do that. A love deeply rooted in justice, fairPlay, tolerance, respect and equity. Before you engage in any arguments or discussions with me about Biafra-Nigeria war, please I hope you read up on some books and articles to get a good understanding of the salient issues. And please, people should be sensitive and wise in all their utterances. If not, my delete button is activated. In the words of Martin Luther King: There’s no greater evil than sincere ignorance and conscientious stupidity”. And I’d highly recommend you start with the book: The Nigeria-Biafra War: Genocide and the Politics of Memory by Chima Korieh. Up till then, the war drew little public attention despite the fact that it was “already responsible for more deaths than have occurred in Vietnam and is now causing the death of thousands of people each day through starvation.” By this time the brutal war between federal Nigeria and secessionist Republic of Biafra had lasted for nearly one year. The thirty-month-long war led to the death of over one million ethnic Igbos and other Easterners. Described as the first black-on-black genocide in postcolonial Africa, the war had a terrible impact on the Igbo people with its massive civilian death toll.